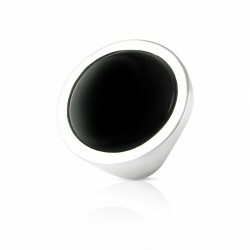 Wide domed silver ring for women - Give another dimension to your personality. Symbol of style and elegance, the ring is an essential piece of jewelry. In fact, it is even essential to a woman's fingers. It reflects personality. But it is also full of precious feelings. As a result, this ring obviously accompanies and illuminates your daily life. 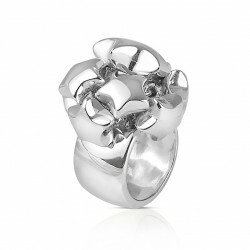 In a concern for refinement and originality, art'emi has created the large curved silver ring for women. Discover this jewel right away! It is timeless and curved. It combines, among other things, finesse and voluptuousness. 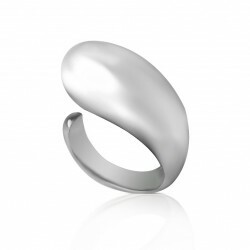 Enhance your hands with the large curved silver ring for women. The large curved silver ring for women is combined with extremely varied clothing styles. Moreover, it also goes very easily with all types of outfits. You can wear it in the evening or during the day. Indeed, it takes care of your appearance. It also enhances your character. Subtly reveal your personality with this charming asset. 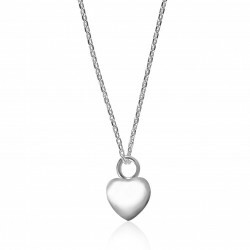 As a general rule, this jewel embodies, without hesitation, the ideal gift. Indeed, the ring carries a great mark of affection. It will be perfect as a gift for a woman you love. It is full of meaning and precious. It should be noted that it is associated with many symbols. Choose this wonderful gift. Fill an exceptional woman. 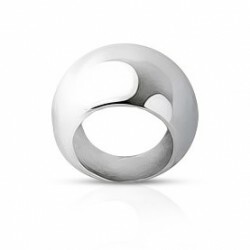 Choose now the wide domed ring silver woman of art' emi. Pleasure is now within reach with art'emi. Make sure you get the highest quality with art'emi. Among our generous choice of jewelry, you will find our various rings for women. They are all similarly made with the greatest care. The entire selection is of unparalleled quality. Thanks in particular to the purity of the materials. 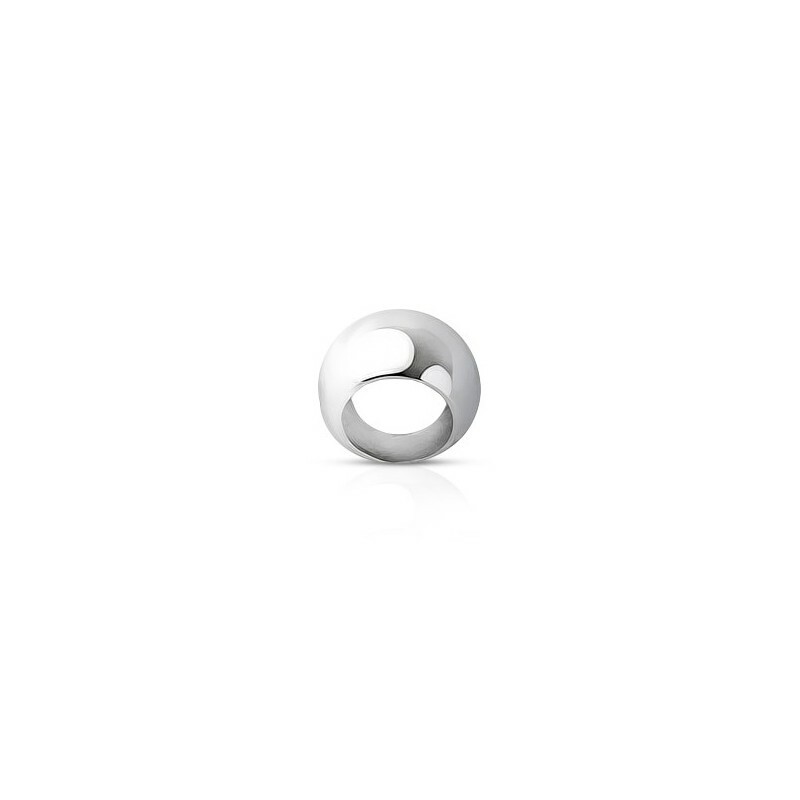 The large curved ring in women's silver is made from solid 925 silver. This gives the jewel an incredible overall resistance. Choose an eternal jewel. Let yourself be enchanted not only by its uniqueness but also by its beauty. Looking for a ring that perfectly matches your personality? You have now found it! 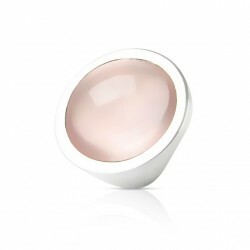 So take the large, domed silver ring for women. It is ideal in all circumstances. Its curve is refined, smooth and delicate. It is, therefore, the ideal companion for you on a daily basis. To satisfy the desires of lightness and voluptuousness? You can count on art'emi! You can combine this ring, with our solid silver heart necklace and enhance your wrists we have this beautiful round silver bracelet double chain. The ring is a very popular jewel because it is synonymous with refinement and elegance. Decorated with precious stones, diamonds, pearlescent, gold or silver, art'emi offers you different rings, each more divine than the next. Women's rings: discover quickly our splendid selection. A ring is above all easy to wear and to match with an outfit. Elegant or exuberant in appearance, it brings a touch of originality, a little something that enhances your look. In addition, a ring easily dresses the hand and adorns the fingers with charm. Without being too exuberant, this jewel can help you to highlight your personality. This is why the ring is a wonderful gift to offer without hesitation. Be careful about the meaning of the ring you want to offer. 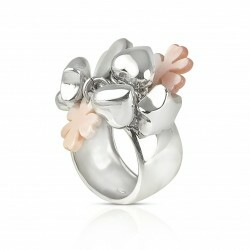 Among our wide choice of jewelry, you will find our women's rings, made with the greatest care. All are selected for their exceptional quality and purity of materials. Made of gold or silver, studded with precious stones, diamonds or mother-of-pearl, art'emi rings will delight you with their beauty. Thanks to art'emi, you will find the jewel that really matches your personality. Are you rather discreet and precious? Our prettiest rings will then conquer your heart. Or on the contrary, do you like things that are more elaborate and singular? Pearly rings and charms will perfectly suit your expectations.